TEQUILA has long been regarded as something of a sleeping giant within the drinks industry. However all the augurs suggest that consumers are starting to wake up to the potential of agave spirits and their suitability in a wide selection of serves. Advanced by bartenders and aided by food and drink macrotrends, the drinks, and tequila in particular, are said to be on course for a big year within Scotland’s bars. Tim Garrett, spirit and mixer brand manager at Franklin & Sons, said: “Tequila is increasing in popularity amongst Scottish bartenders and is predicted to grow in the on-trade, as it becomes incorporated into more serves in order to change the common consumer perception that associates the spirit with shots and hangovers. 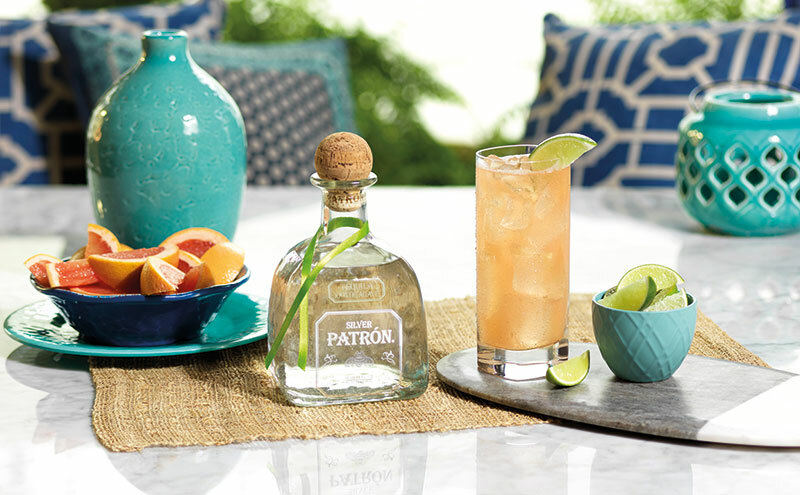 Pointing to recent CGA figures, Matthew Sykes, director of international marketing for Patrón Spirits International, said tequila had shown an “impressive 40% value growth in Scottish independents last year”. “The premiumisation of the category is potentially driving this growth and more commonly great Scottish bars are using Patrón tequila in their signature cocktails,” he added. The profile of tequila in Scotland has risen significantly over the past few years. But it is not just city centre cocktail bars that can gain from incorporating a few premium expressions on their back-bars, reckons Garratt of Franklin & Sons. “All types of venues would in time benefit from stocking up on high-end tequilas,” he said. When it comes to marketing the spirit in outlets – be it in cocktails, spirit mixer serves or as a sipper – bartenders can push the artisanal qualities of the spirit to increasingly engaged clienteles. That’s the approach currently being taken by Hi-Spirits, distributor of Corazón tequila and Monte Alban Mezcal, according to the firm’s managing director, Dan Bolton. He said: “We want to engage knowledgeable consumers who enjoy cocktails when they’re out to eat and drink, and who appreciate spirits with authenticity and provenance. Proceeding with an informative plan of attack was also highlighted by Grant Cunningham, sales manager for Scotland at Indie Brands, distributor of Tequila Fortaleza and Gem & Bolt Mezcal. All types of venues would in time benefit from stocking up on high-end tequilas. And making the spirit accessible is important to this process, said Cunningham, who advocated for making subtle changes to classic cocktails to demonstrate what the broader tequila and mezcal category can offer. “A Margarita is a tequila cocktail that most consumers already know,” he said. Mirroring other categories, the spirit has also enjoyed popularity in longer drinks as well, said Sykes of Patrón Spirits International. Method: add all ingredients to an ice-filled highball glass and stir. Garnish with a pink grapefruit slice or wedge of lime.